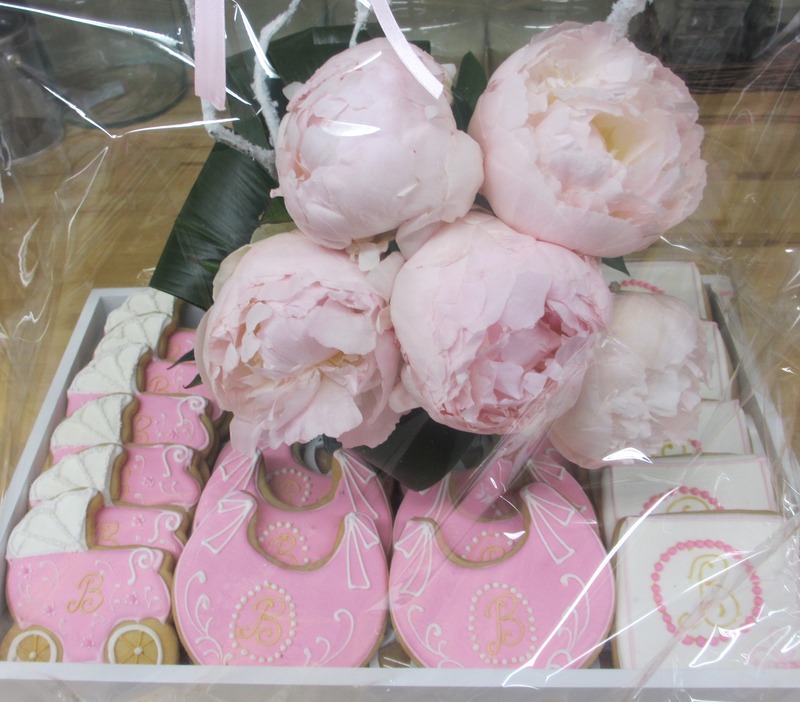 Choose to send a beautiful tray full of ornate cookies for a special occasion. This tray includes 18 extra-large cookies. You may also choose 24 smaller cookies. Cookies can be chosen to match your theme or occasion and can also be personalized. Flowers can be matched accordingly. Please allow a couple of days lead time for this custom gift. We can add great stuff to your gift package!